If you use personnel doors for your business, odds are they serve two main purposes. First, they create boundaries and divisions where you need them most (function). Second, in brick-and-mortar businesses – where customers and clients will have visual access to the interior – personnel doors make a visual impact (style). So, when we’re working with our commercial clients, we discuss both their function and style requirements to help them determine whether they’d benefit from hollow metal doors or more traditional, solid core wood doors. Hollow metal doors: Hollow metal doors are typically made from steel. As a result, you’ll be deciding between different steel gauges. The higher the gauge, the thinner the steel. So, door facades made from steel with a smaller gauge are thicker and stronger. While they are called “hollow” this can be misleading because you still have the option of selecting insulation materials to suit your needs and climates. Solid core wood doors. These are actually composites, made from two wood veneers on each side that are filled with varying infill materials. We should note that solid wood doors are not the same as solid core wood doors. The two are different and a fire inspector will be able to tell the difference in a single knock. The infill in a solid core wood door will create a more muffled sound, while a solid wood door will have a louder, more resonant knock. Here are some of the things you’ll want to consider as you decide between hollow metal or solid core wood options for your businesses personnel doors. In almost all cases, a hollow metal door will be more affordable than its solid core wood counterpart. If budget is an issue at all, metal doors will save you money. Additionally, high-quality hollow metal doors are also incredibly durable and low-maintenance, which can also save you money in the long run. While wood veneers are tough, they are still more prone to damage than steel. Don’t be under the illusion that metal doors are plain Jane. In fact, today’s hollow metal doors are designed in a wide range of facades, including those with decorative panels. They can even resemble real wood and this makes it easier to get a more traditional or style-specific look inside your building. However, only the real-wood veneers on a solid core wood door can provide the look of finished wood. If you are going for an upscale look, solid core wood doors are almost always the best choice. Does the interior of your business have a fluctuating climate due to proximity to a warehouse or storage area that is open to the outside? If so, be aware that wood doors are more prone to warping. This will take its toll on the doors functional and aesthetic value over time, and will also increase your maintenance responsibilities. If moisture or temperature fluctuations are the norm for you, then metal is probably the best option. Do you need fire-rated doors? The good news is that even solid core wood door can come with fire-ratings as high as 60- or 90-minutes. The only detriment is that they are significantly more expensive than a standard metal door counterpart with the same fire rating. Keep in mind that you don’t have to choose one or the other. You can work with the sales rep at your commercial door company and figure out which doors will work best where. Keep beautiful, classic-looking solid wood core doors in main offices or areas where you entertain customers and potential clients, and then save money by installing hollow metal doors in areas that are exclusive to employees and staff. 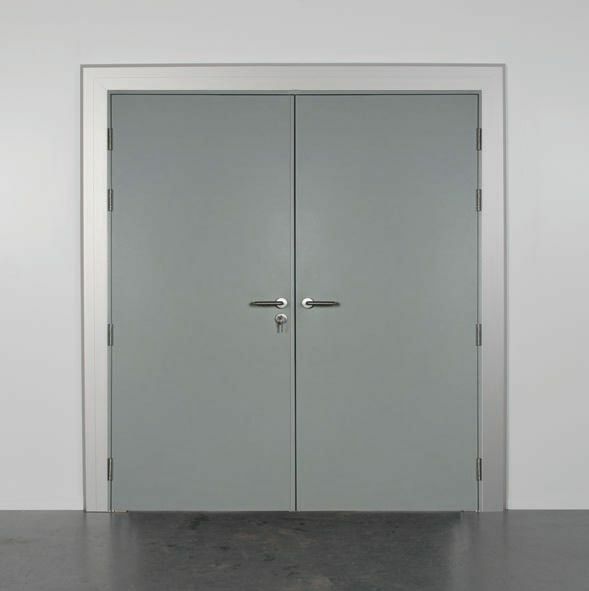 Need assistance designing or installing personnel doors in your Bay Area business? 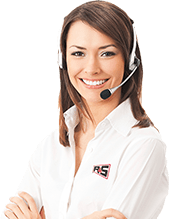 Contact us here at R&S and schedule your free, onsite estimate.